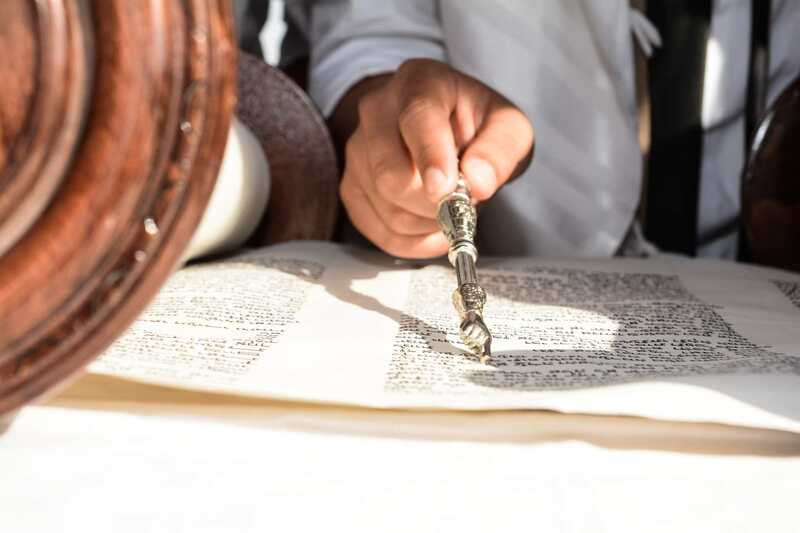 Planning to celebrate a Bar Mitzvah in Israel? Beautiful Ceremony? Amazing tours? Traditional food? Kfar Hanokdim is an amazing oasis in the middle of the Desert. 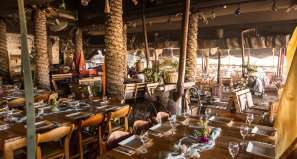 A perfect location for an unforgettable Bar Mitzvah in Israel. 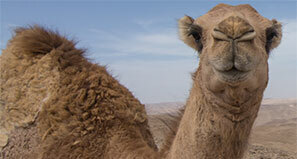 From here you’ll be able to explore the whole Negev desert – including camel tours and many more attractions! Events at Kfar Hanokdim – so much fun! 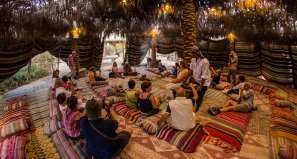 At Kfar Hanokdim, located a 15 minute drive from Masada-West, you can hold an unforgettable desert Bar or Bat Mitzvah. 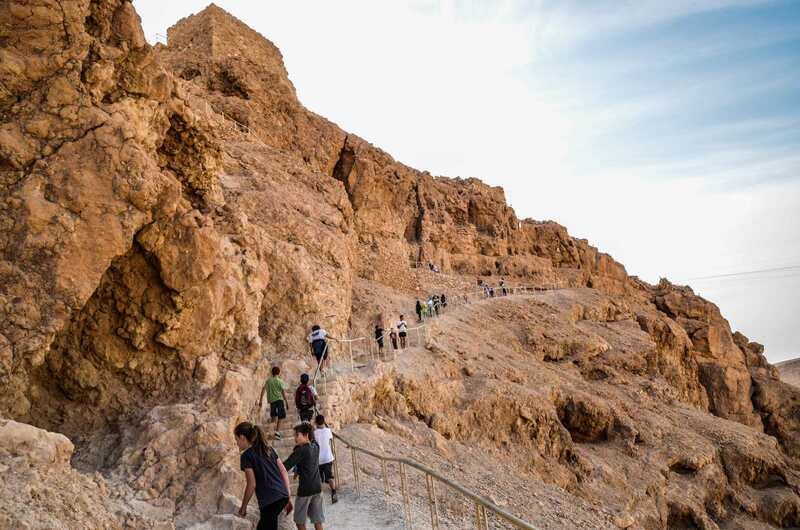 Celebrate the ceremony at the world’s ancient synagogue, at the top of Masada, overlooking the desert wilderness, imbued with historical significance. The ceremony, conducted in a traditional Jewish manner, which is well suited to most secular families, is led by Rabbi Shimon in a humorous and lighthearted way, with songs and games. You are invited to stay with us at the Kfar on the evening before the Bar mitzvah ceremony and to ascend Masada at dawn or visit us after the ceremony. 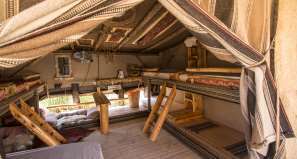 You can choose from our range of accommodation options, enjoy a festive meal, and also partake in our diverse range of interesting activities and workshops. In particular, we recommend the “Trek in the Footsteps of our Forefathers”: an ODT activity specially adapted for the desert, formulated for the celebration of the Bar/Bat Mitzvah by connecting the young boy or girl to the illustrious Jewish dynasty of the people of Israel and to our desert roots. For additional information on a Bar/Bat Mitzvah at Kfar Hanokdim, please fill in your contact information below and we will get back to you as soon as possible! and to ascend Masada at dawn, or to come to us after the ceremony. You can choose one of our options for accommodation, and a festive meal from our variety of meals, and also enjoy our diverse range of interesting activities and workshops. 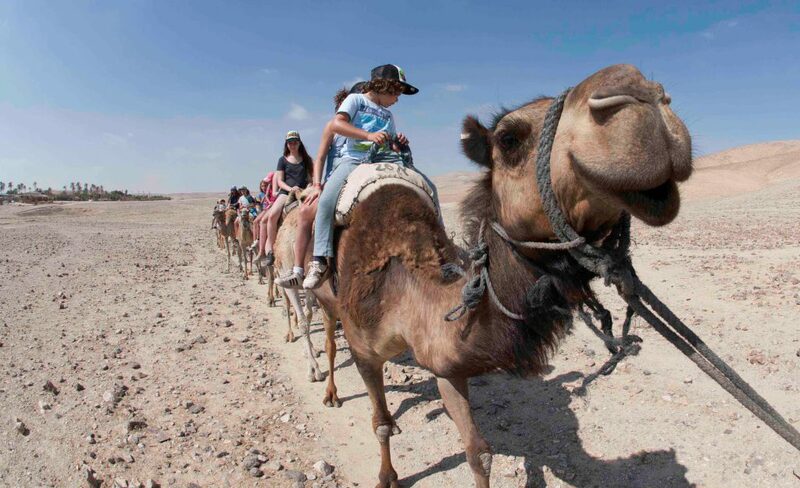 Particularly recommended is the Trek in the Footsteps of our Forefathers: an O.D.T activity specially adapted for the desert, particularly formulated for the celebration of bar mitzvahs in Israel, by connecting the young boy or girl to the illustrious Jewish dynasty of the people of Israel and to our desert roots. Many of the leaders of the Jewish people – Abraham, Isaac, Jacob, Moses and David – achieved their eminence in the desert. It was here that their exceptional characters were formed – where they came to maturity and were privileged with meaningful revelations from which they grew into our spiritual forebears. In the desert, the Jewish people received the Torah and the youngsters take it upon themselves to carry on the tradition. At Kfar Hanokdim, we offer a Trek in the Footsteps of our Forefathers: a desert ceremony to renew the covenant in an experiential and festive way. During the trek, participants are divided into competing tribes and pass through stations at which they perform tasks such as those which our forefathers had to carry out in the desert: herding sheep, building the Tent of Abraham, saddling camels, lighting fires by natural means, and more. In the intervals between the stations, there are lively guided activities for members of all the tribes. At the end of the trek, members of the winning tribe are crowned in glory. 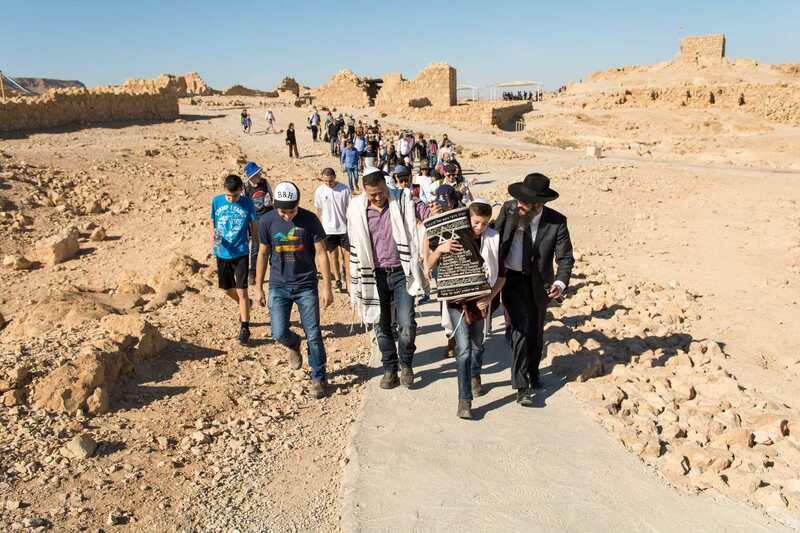 The Trek in the Footsteps of our Forefathers connects the desert, the great leaders of the Jewish people and the youngsters celebrating their Bar-Bat Mitzvah, instilling in them the knowledge that they too are links in the remarkable chain of generations of our people. To participate in a Trek in the Footsteps of our Forefathers, please fill in your contact information below and we will get back to you as soon as possible! The staff of Kfar Hanokdim has long experience in organizing successful events. To read some of our recommendations please click here.